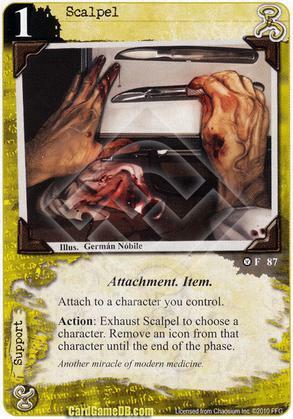 Action: Exhaust Scalpel to choose a character. Remove an icon from that character until the end of the phase. Flavor Text: Another miracle of modern medicine.